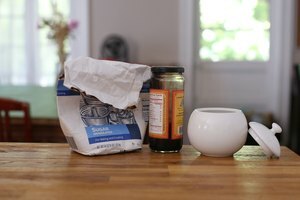 Learning to bake a cake using a simple recipe that calls for an 8 x 8 pan is easy. There are numerous cakes that would be appropriate for that pan size, including white, chocolate, marble and coffee cakes. Many simple recipes can now be found by the Internet or using recipe book. When using an 8 x 8 pan, most recipes will require that you set your oven temperature to 350 degrees Fahrenheit and bake for 20 to 30 minutes. Grease your 8 x 8 pan using margarine or butter. Sprinkle flour lightly over the greased pan. You can also use cocoa in place of flour if you want to avoid white spots on the bottom of your cake. Alternatively, instead of flouring the pan after it is greased, use parchment paper to line the pan. Cut the parchment paper to size and press it into the pan. Follow your recipe precisely. Baking a cake is as much a science as it is an art. 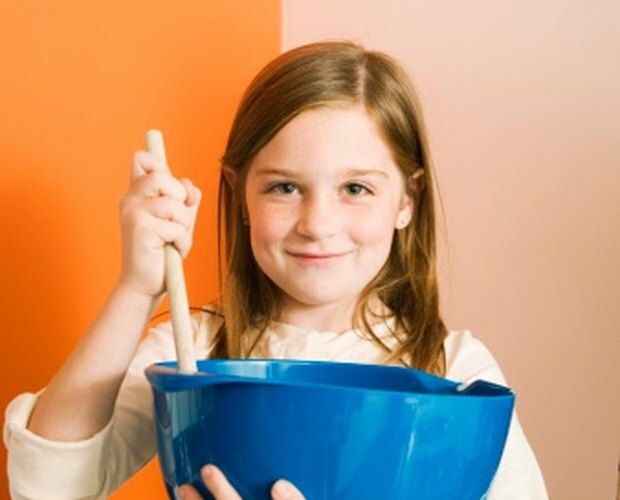 The order of the ingredients, measurement of the ingredients, size of the pan and temperature of the oven are all important factors in whether your cake turns out well. Preheat the oven to 350 degrees Fahrenheit, or to whatever temperature your recipe directs. Preheating your oven is extremely important when baking a cake. Pour batter evenly into your 8 x 8 cake pan. Use spatula to even out the batter. Place pan in the middle of the top rack. Although baking times will vary depending on your oven, use your recipe as a guide. Usually an 8 x 8 pan will take about 25 to 30 minutes, according to Baking911. 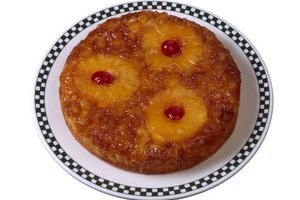 You can test whether your cake is ready by inserting a toothpick into the center of the cake. If it comes out clean, your cake is done. Follow the instructions in the recipe for cooling your cake. Different cakes require different methods of cooling, regardless of pan size. Generally, let the cake cool in the pan for approximately 10 minutes before transferring from the pan to a cooling rack. 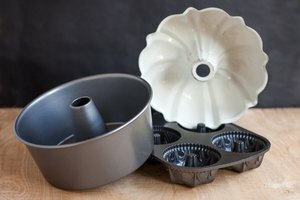 Baking 911: "Bake Like a Pro"
Joy of Baking: "Baking Pan Sizes: Pan Dimensions and Sizes"
Cakes Rising: "Bake a Cake"
ITV; "How to Bake a Cake From Scratch"